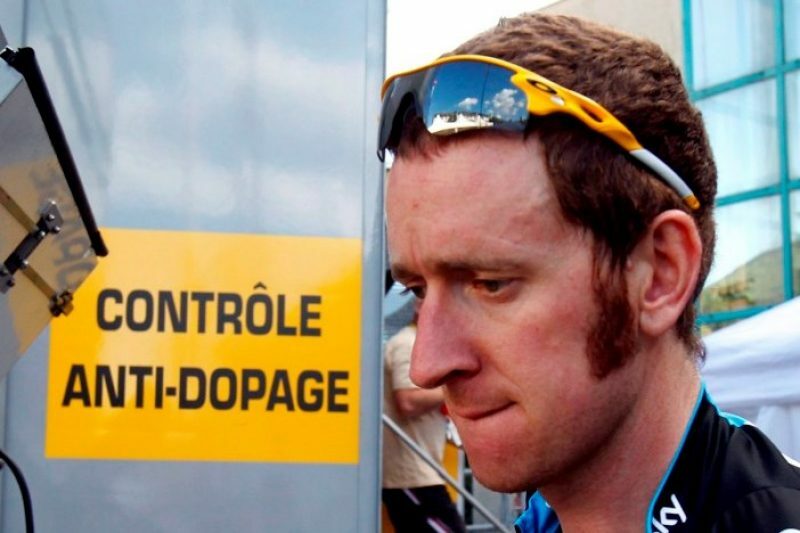 Antoine Vayer looks back at the the 2012 Tour de France that was won by Briton Bradley Wiggins (right) and wonders it there's any cure for the "poison"
Fränk Schleck – the drugs cheat who was kicked out – was right: The Tour is “poisoned”. It has been poisoned for a long time, but the poison is still having its effect. If you don’t believe it, you only have to observe and compare the cyclists’ power levels measured in watts. We have taken four particularly striking examples from this years race. The first is a killer. It concerns our little treasure Thomas Voeckler who, like his clone Virenque (from the vintage years of the Festina team), wears the polka dots of the King of Mountains on his sleeve, as well as the heart of the French nation. Despite having calf muscles that are emaciated to the point that you can confuse them with his shins, Saint Thomas is, like Richard (Virenque) before him, capable of mounting attacks in the mountains while maintaining a motor level of 375-390 watts over four climbs, without weakening and accelerating whenever he wishes. He leads the way over the Aubisque, the Tourmalet, Aspin and Peyresoudre in 5h 32m 2s, crossing the line victorious and fresh as a daisy after his 197km at an average speed of 35.59km/h. This Pau-Bagnères-de-Luchon stage is a classic one in the annals of the Tour (1980, 1983 and 1998). In 1998 (at the height of the Festina affair), the late Marco Pantani had allowed Massi to win in 5h 49m 40s. That translates as 196.5km at an average of 33.72km/h – almost two km/hour slower! Another mini-record was broken by Thomas the following day: The Col de Menté – a 9.3km stretch with a 9.1% slope. In 28m 20s, with a surging power of 442 watts, he carved his name into the record books as he finished on the plateau of the last 300 metres with an 8% slope. He looked for all the world like the famous Rasmussen-Contador duo of a few years back. The third comparison, which tends to cause more of a smile than actual shock, is to put into practice the notion of “stronger than before” (the title of Richard Virenque’s book in which his own story of drug abuse in the Festina team is laid out). Alejandro Valverde won at Peyragudes with a performance that was identical to that of Vinokourov in 2007. Both cyclists, five years apart, climbed the Port de Balès et Peyresourde at the same level of energy, with 385 watts, then 405 watts for the two mountain passes. Vinokourov, who had gone off on the morning breakaway, like Valverde, brought home the bacon all on his own at Loudenvielle. The Kazakh was excluded from the Tour afterwards, having been found to have given himself a blood transfusion. The final comparison actually excites us more than leaving us stumped. In 2011, after 16 years of a diet of the heavy stuff, we can finally enjoy, in these columns, the absence of cyclists motoring along at more than an average of 410 watts on the last passes of the high mountain stages: the threshold level at which the poison is detected. Alas! Our joy was premature. 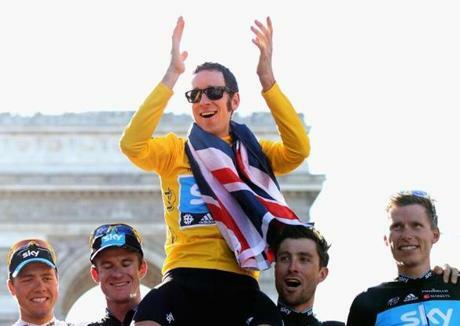 Four more have broken this ceiling again this year: Wiggins, Froome, Nibali and Van den Broecke, with 415 watts for the top three placed cyclists in the 2012 Tour and 410 watts for the fourth-placed man. We can hardly wait for 2013 and the come-back of Contador and his contaminated meat! Between then and now, there’s little hope of finding the antidote. A former coach with the Festina team, Antoine Vayer is an expert in the field of performance. Shocking stuff! How exactly does he measure the energy in watts?